Perkins Eastman sued by The Wharf's general contractor in D.C. - Archpaper.com Perkins Eastman sued by The Wharf's general contractor in D.C.
Clark Construction Group, the general contractor responsible for realizing the $2.5 billion The Wharf in Washington, D.C., is suing project architect Perkins Eastman over claims of seriously flawed design documents. As first reported by Bisnow, the contractors are seeking $5 million in damages after the recent completion of the project’s first phase, claiming that issues and omissions in the drawings necessitated numerous on-site fixes. 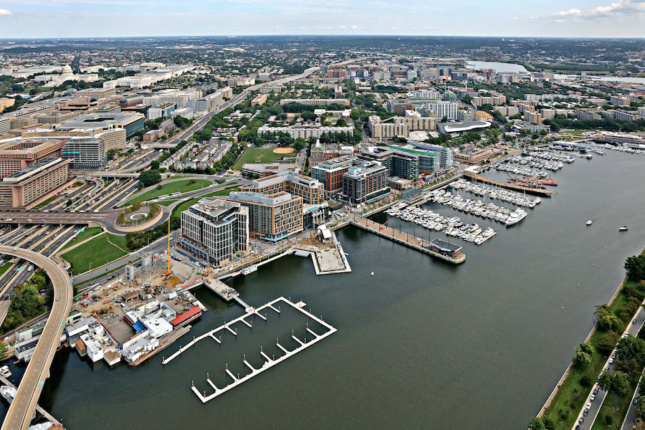 The Wharf, a massive mixed-use development spread across a mile-long stretch of D.C.’s southwestern (and formerly industrial) waterfront, opened the doors of its first phase back in October of last year. 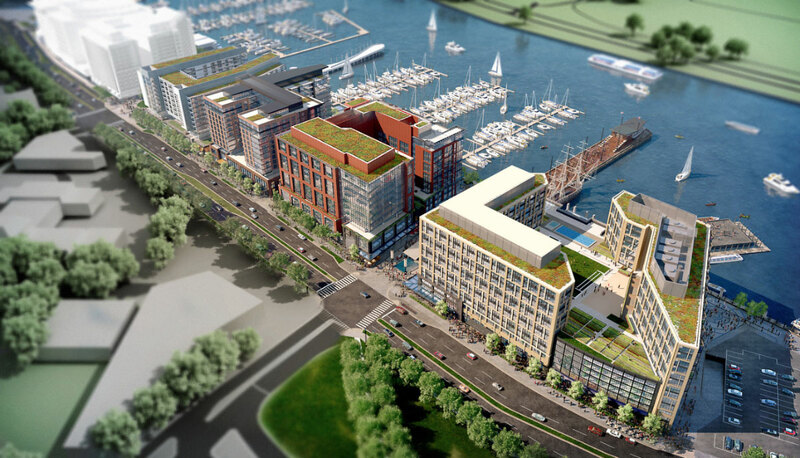 After completely replacing the existing seawall and promenade, 1.2 million square feet of office space, hotel rooms, retail, luxury and affordable residential units, a marina, and waterfront parks rose on the Perkins Eastman-master planned site. A two-story underground parking garage also runs the length of the development. When complete, The Wharf will encompass 3.2 million square feet in total. According to the complaint levied by Clark Construction, Perkins Eastman either submitted incorrect details in their design documents or omitted portions of their drawings and failed to respond to inquiries in a timely fashion. The suit alleges that the architects misplaced structural columns, designed exterior retail doors that were unable to open, placed concrete beams too low to achieve the correct clearance, and made mistakes in coordination that resulted in slabs being too thick to install already-purchased doors. Even the coordination of structural rebar and foundation piles are cited as having contained significant errors, and Clark Construction claims they were forced to take on material losses as the result of correcting the defects in the field. Clark Construction is suing for a breach of written contract, professional negligence, and negligent misrepresentation as a result. The second phase of The Wharf is scheduled to break ground later this year, and finish construction in 2022. Perkins Eastman declined to comment. Perkins Eastman The Wharf DC Washington, D.C.